Orleans House Gallery020 8831 6000workArt GalleryStroll along a peaceful riverside road into secluded woodland gardens, to find stunning 18th century interior design and the principle art gallery for the Borough of Richmond upon Thames, which attracts over 40,000 visitors a year. Visitors of all ages can try out their own artistic talents in a pre-booked workshop at Orleans House, or to soak up more history, Marble Hill Park and Ham House are nearby. Finish off with great pub grub around the corner from the Gallery, which is reached easily from London and the south east by road, rail, or even by boat. Orleans House has a rich and vibrant history, the baroque Octagon room was designed by renowned architect James Gibbs, but the full potential of the site has yet to be realised. 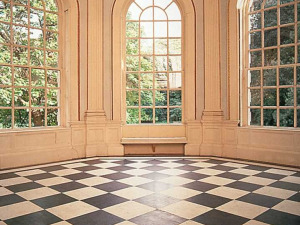 Stroll along a peaceful riverside road into secluded woodland gardens, to find stunning 18th century interior design and the principle art gallery for the Borough of Richmond upon Thames, which attracts over 40,000 visitors a year. Visitors of all ages can try out their own artistic talents in a pre-booked workshop at Orleans House, or to soak up more history, Marble Hill Park and Ham House are nearby. Finish off with great pub grub around the corner from the Gallery, which is reached easily from London and the south east by road, rail, or even by boat.